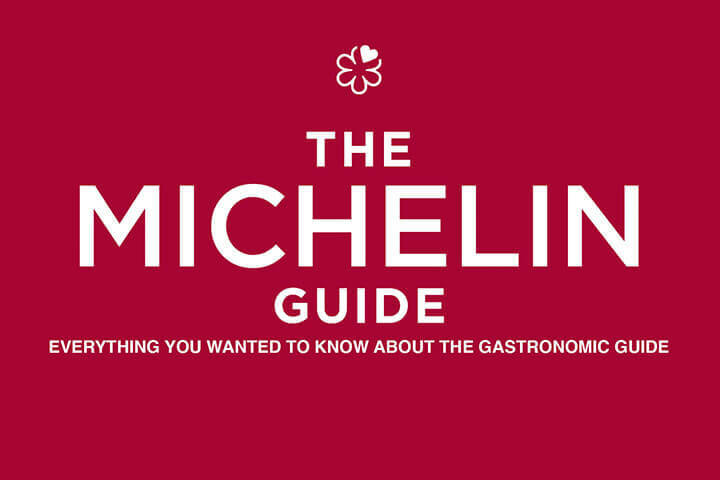 In this article we’re going to answer all the frequently asked questions about the Michelin Guide. We’ll get things underway with a bit of history followed by information on the guide itself and how it is made. Hopefully by the time we’ve finished you’ll understand everything you need to know about this culinary guide, what it is exactly and who it was founded by. Let’s start right at the beginning. It may seem obvious, but sometimes we forget that all adventures start off somewhere, and not always in the way we had imagined. 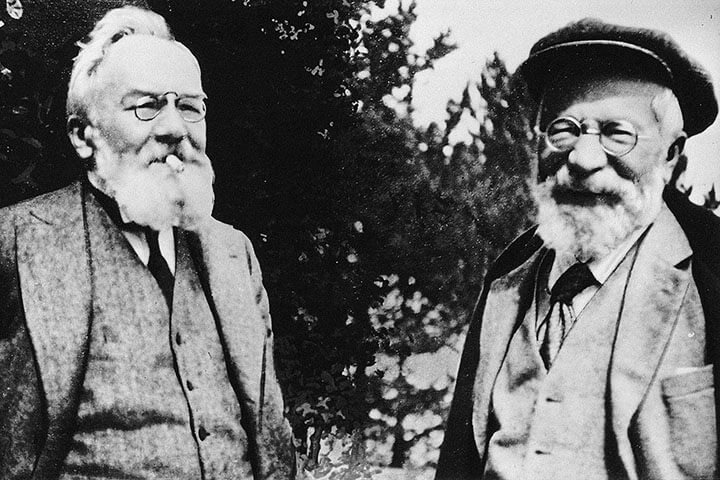 In 1889, the brothers André and Edouard Michelin founded their tyre company in the city of Clermont-Ferrand in France. Around the time, with the automotive industry in full swing, the brothers decided to create a publication for motorists—or chauffeurs et les vélocipédistes, along the lines of car and velocipede drivers—so that they could explore the country’s roads. 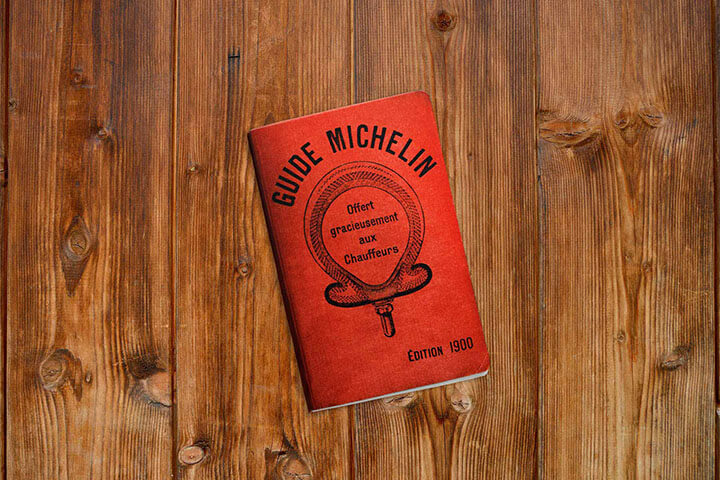 It wasn’t until 1900 when the first Michelin Guide was published with circulation of 35,000 copies. It contained useful information for travellers, such as maps, basic mechanics, places to take a rest and, of course, establishments for eating and relaxing. Although the Michelin Guide was initially free, as it remained for two decades, in 1920 the first paid-for edition was launched at a cost of 7 francs. What was to happen over the coming years would change the history of the guide. Until 1923 all the restaurants in the guide were part of the same hotels recommended to travellers for resting. However, in that year’s publication, independent restaurants appeared for the first time in the history of the guide. On the back of the restaurant section’s success, a group of inspectors was soon hired to immerse themselves in the search for the best places to eat. This led to the emergence of a 1 star rating in 1926, used to highlight the very best restaurants. The 1, 2 and 3 Michelin star ratings that we know today were finally introduced in 1931. Everybody knows about the influence that the Michelin Guide has. It seems strange, to say the least, that a tyre brand has garnered so much importance in the culinary world. However, this is no coincidence, and the great team behind the guide are certainly accountable for this. Although it is known as the Michelin Guide to restaurants, it has included hotel reviews ever since it began. So, if you’re still wondering what the Michelin Guide is, to sum up, it is nothing less than a list of the best restaurants and hotels in the areas where it is published, which includes reviews and ratings made by experts who follow the same criteria whichever part of the world they are in. What does the Michelin Guide assess? Essentially, two aspects are analysed: firstly, the food, and secondly, comfort and quality. These two aspects do not interchange, an appraisal of the food being completely separate to that of the quality of the service and the establishment. The guide uses different pictograms to assess restaurants: the famous stars, the fork and spoon, the Bib Gourmand and the Michelin plate. With this rating system, readers can discover the best restaurants in the world according to the Michelin Guide. Read on to find out what criteria the Michelin Guide follows according to each of the aforementioned pictograms. What do Michelin stars rate? 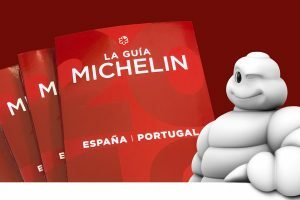 Michelin stars are awarded according to universal criteria that must be applied by the guide’s inspectors. They pay special attention to the quality of the ingredients used, the creativity of the dishes, mastery of flavour and cooking techniques, value for money and consistency. By following these criteria, the Michelin Guide employs a rating system that goes from 1 to 3 stars. 1 Michelin star: When a restaurant receives 1 Michelin star it means that high quality cooking is to be found there. Worth a stop! 2 Michelin stars: When a restaurant receives 2 Michelin stars it means that it offers exceptional cooking. Worth a detour! 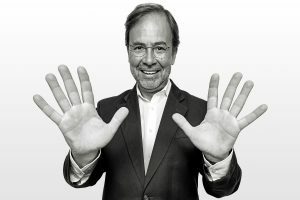 3 Michelin stars: When a restaurant receives 3 Michelin stars it means that it offers unique cuisine. Worth a special journey! Bib Gourmand first emerged in 1997 to replace the previous symbol, a red letter R, which had been used since 1955. 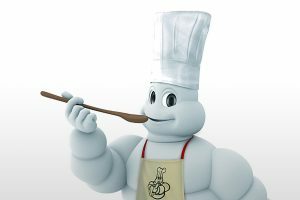 The Bib Gourmand (Bib is the nickname of Bibendum, the chubby mascot of the Michelin Group) is awarded based on good food at moderate prices. In the majority of European countries the limit for a set menu is set at €35. What does the Michelin plate judge? The Michelin plate is the latest symbol to be added and one of the guide’s least known—not receiving the same attention as the stars or even the Bib Gourmand. It was first used in 2017 and is awarded to restaurants that boast good quality cooking, but are yet to receive stars or the Bib Gourmand, even though they deserve to be mentioned in the guide. What do the Michelin fork and spoon symbols represent? The Michelin fork and spoon symbol, much like the Michelin plate, is not very well known. Although it has nothing to do with culinary aspects, the pictogram assesses other areas of interest such as the comfort and quality of the establishment, awarding points for decoration, table arrangement and service—aspects that complement the gastronomic experience. One fork and spoon symbol: quite comfortable. Two fork and spoon symbols: comfortable. Three fork and spoon symbols: very comfortable. Four fork and spoon symbols: top class comfort. Five fork and spoon symbols: luxury in the traditional style. How do I get my restaurant in the Michelin Guide? Many restaurants covet the idea of appearing in this renowned directory and ask themselves how they can be a part of it. Appearing in the Michelin Guide brings greater visibility to an establishment and attracts new customers. However, it must be said, making your way into the publication is no mean feat. We’re sorry to say that there is no e-mail or telephone number to request that the inspectors come to your restaurant. Unfortunately it doesn’t work that way. All we can do is recommend that you are patient and that you keep making good quality food. At any moment you could be paid a visit from an anonymous inspector, who will try some dishes as if they were just any other customer. If all goes well, you may well appear in the next edition of the guide. 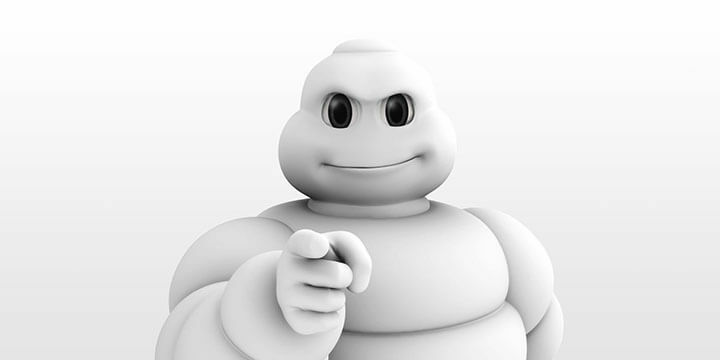 How do I become a Michelin Guide inspector? Many would love to be a part of this great team of inspectors who visit the best restaurants in the world, but it’s not within everyone’s reach. Instead, your CV and your professional background must meet a series of requirements in order to fulfil the role. First off, you must have studied hospitality and have more than five years’ experience in the sector. If you meet these requirements, you then need to think about what it would mean to visit some 800 establishments a year, eating in around 250 of them and drafting over a thousand reports. Oh, and travelling around 30,000 km around the world! 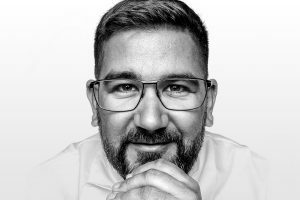 Maybe this has given you even more desire to find out how to become a Michelin Guide inspector, where to find job offers or how to send them your CV. Well, every so often job opportunities for new inspectors are announced, so be sure to keep an eye on the employment section of their website here. Where can I buy the Michelin Guide? You can find this popular culinary publication in most bookshops or shopping centres.